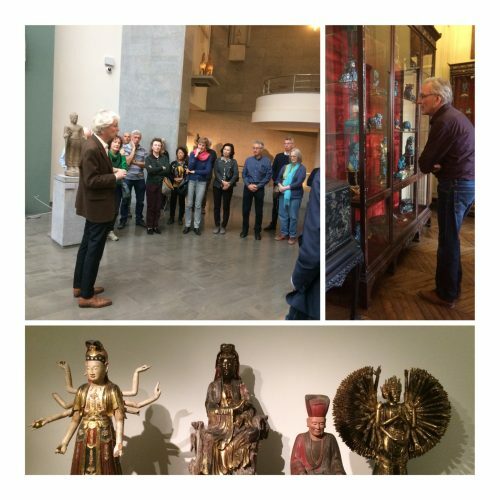 The Travel Committee of the KVVAK organises excursions outside of the Netherlands with the subject of Asian Art. Since several years now Christine van der Pijl-Ketel and Christien Smits belong to the committee, aided by Rosalien van der Poel, board member. In the recent years the committee has organised various short city trips. In September 2012 we visited Paris for four days, where we visited the Musée d’ Ennery, Musée Guimet and Musée Cernuschi. We also travelled to Berlin and Lisbon. In 2016 Christine van der Pijl-Ketel accompanied a longer trip to China. In October 2018 we visited Paris once again, accompanied by Rosalien van der Poel and Christien Smits. See the images below.